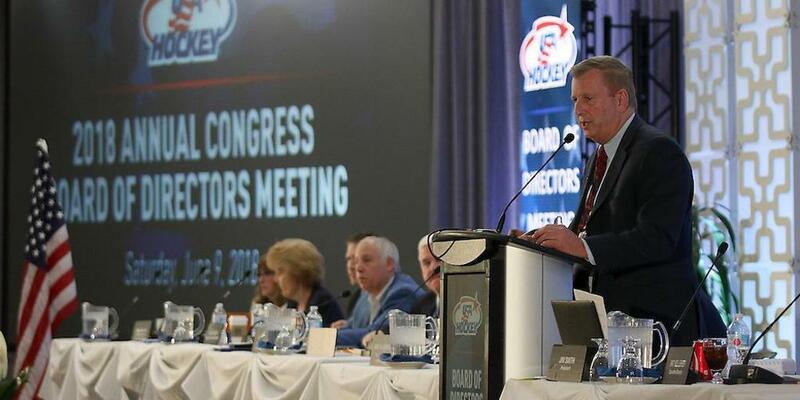 COLORADO SPRINGS, Colo. — The USA Hockey College Player of the Year Award, presented annually to the top American player in men’s college hockey by USA Hockey each year at its Annual Congress, has been renamed the Jim Johannson College Player of the Year Award it was announced today. Johannson, affectionately known as J.J. to many, passed away unexpectedly at age 53 on Jan. 21, 2018. 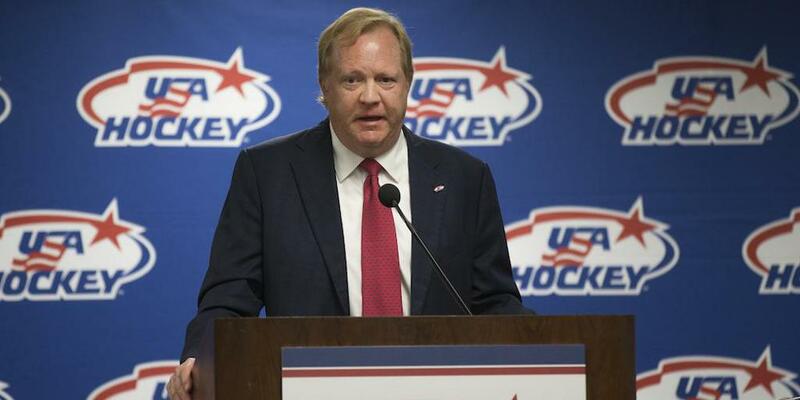 His entire career was spent in hockey, including the last 19 years at USA Hockey where he finished his time as assistant executive director of hockey operations. Under his watch, U.S. teams captured 64 medals on the international stage, including 34 gold medals. As part of the award, the recipient of the Jim Johannson College Player of the Year will have the opportunity to select a USA Hockey local association to receive a $5,000 grant from the Jim Johannson Legacy Fund of The USA Hockey Foundation to help enhance youth hockey within that association. Johannson played college hockey at the University of Wisconsin from 1982-86 and helped the Badgers capture the NCAA title as a freshman. He twice played for the U.S. in the Olympic Winter Games (1988, 1992) and was also a member of the U.S. Men’s National Team that participated in the 1992 IIHF Men’s World Championship. The 2019 Jim Johannson College Player of the Year will be presented on Wednesday, June 5, at USA Hockey's Night of Tribute Awards Dinner that is part of the organization's Annual Congress. Of 105 players, 83 have developed game within the U.S. prior to college; NCAA Men's Frozen Four Begins Thursday (April 11) in Buffalo, N.Y.